We all have those go-to products we like to travel with. I don't travel often, but when I do, I have a finite amount of space to pack my beauty products. I have particular bags I travel with that I know keep my makeup safe and (somewhat) organized so I appreciate anything that fits well, without sacrificing quality. Styli-Style came out with some new products just in time - blush/bronzer duos, shadow sticks, and even a two-sided brow product with a pencil on one end and gel on the other. Beautiful products that are Beauty Bag friendly! Let's take a look. 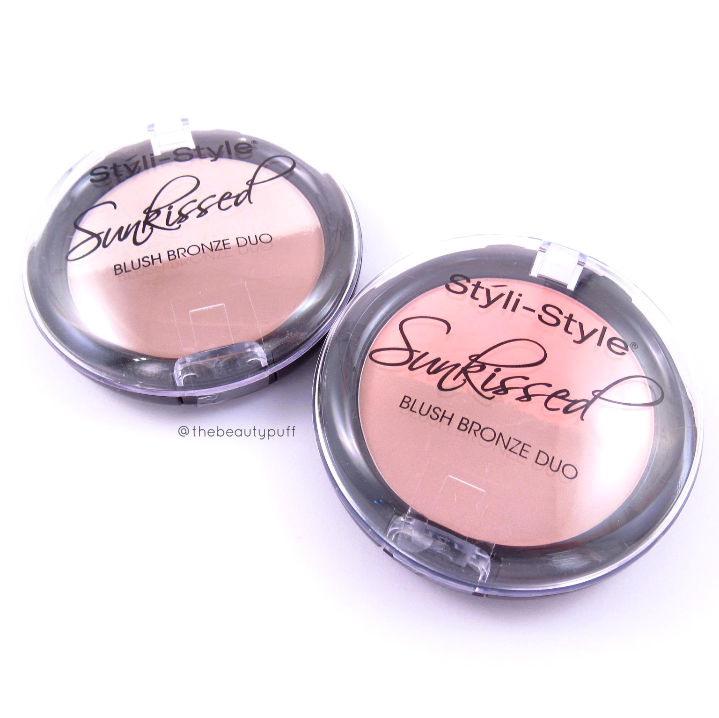 Styli-Style's Blush Bronze Duos come in a variety of combinations to suit different skin tones and tastes. 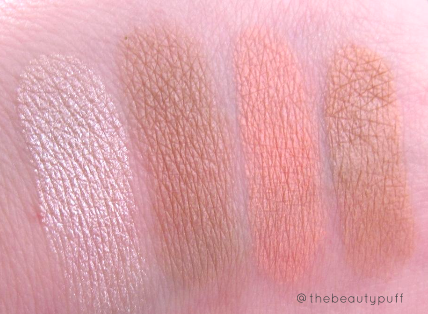 The duos I have are in You Glow Girl (left) and Bahama Mama (right). 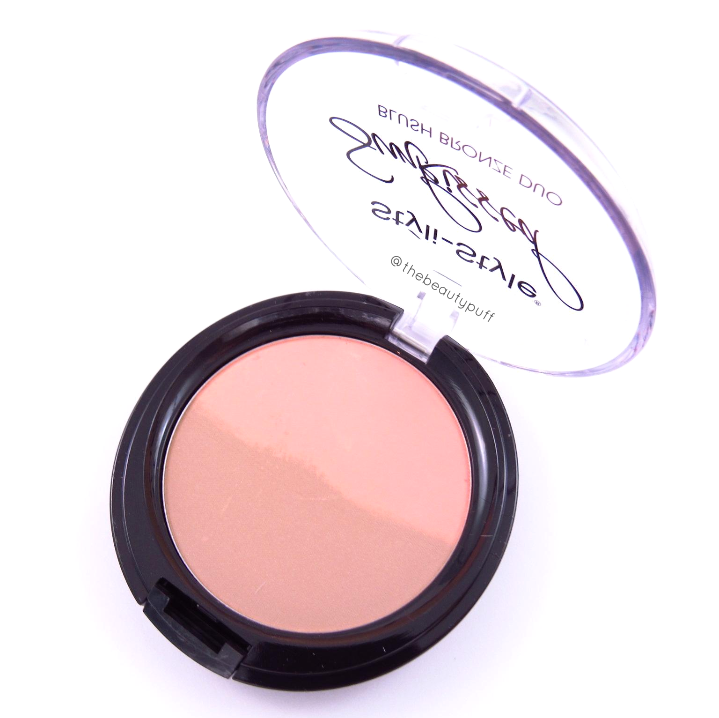 You Glow Girl is a beautiful combination of a bronzer and highlight and Bahama Mama is a gorgeous blush and bronzer. I was really surprised with the smoothness and pigmentation of these products. I almost expected them to be chalky, but wow was I wrong. I found myself reaching for these duos a lot over the last few weeks because I needed easy, effortless products to get ready. If there was one down side to these compacts, it's that there is no mirror. On the other hand, I liked seeing the product so I know which one I am reaching for. Personal preference on that one, but I found these duos to be a breeze to work with. The blush in Bahama Mama was a pleasant surprise because I thought for sure it would be too bright or summery looking on me. However, it gave the most gorgeous flush to my skin. I've been obsessed! Other colors include Beach Babe and Hula Girl. One of my favorite things lately has to be shadow sticks. The love the ease of use, smoothness and versatility. 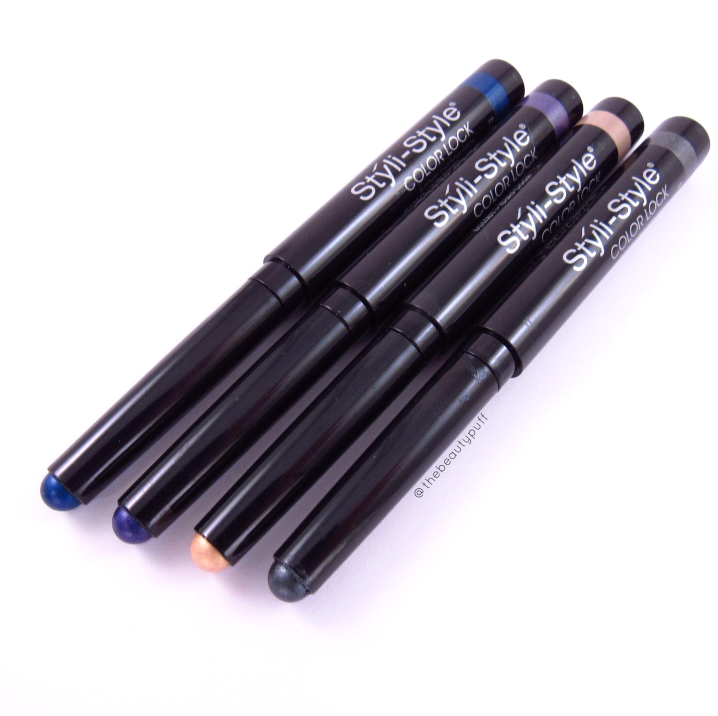 Styli-Style has come out with some gorgeous Color Lock Intense Shadow Sticks in a beautiful variety of colors. 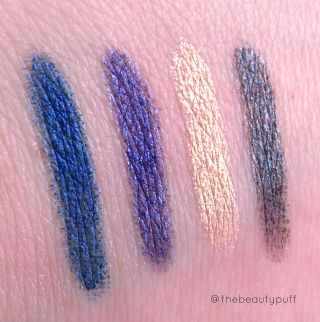 These shadow sticks can be used as liners or as all-over lid colors. The formula of these shadow sticks is super smooth, easily blendable and has great staying power. I love the On the Rocks and Gold Coast in particular for this time of year. These little beauties are easy to just throw in your bag for a night out or holiday travel. Love them! Brilliant Brows is one of the most useful and compact things I packed while away for Thanksgiving. With a brow pencil on one end and brow gel on the other, I had everything I needed to enhance and set my brows. 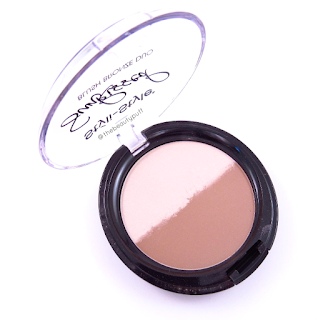 I have the shade Taupe which is a versatile shade for a multitude of brow colors. The product itself clings to the brows so you get a bit of hold just by using the brow pencil itself. 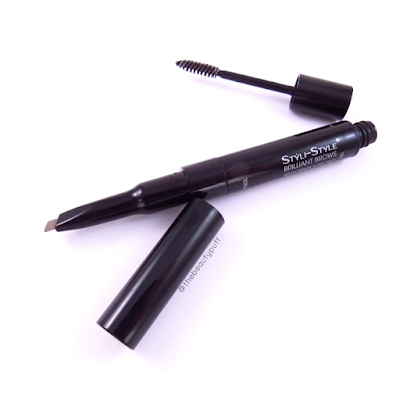 You do not need much at all with the brow gel - it holds extremely well with little product. I suggest wiping off the brush a bit before application until you get used to the formula. Overall, a fantastic travel companion for easy and oh so quick brows. And yes, a brilliant design! When the day is done and it's time to take off all your makeup, Styli-Style also makes a great makeup remover! It is a gel formulation that gently removes all traces of makeup - even the long-wearing swatches of these products! It has a pump with a cap so, like the other products, you can throw it in your Beauty Bag with no problem!